Like many of the scifi authors I actually know, I met Brandon Ellis through Facebook. Brandon interests me. 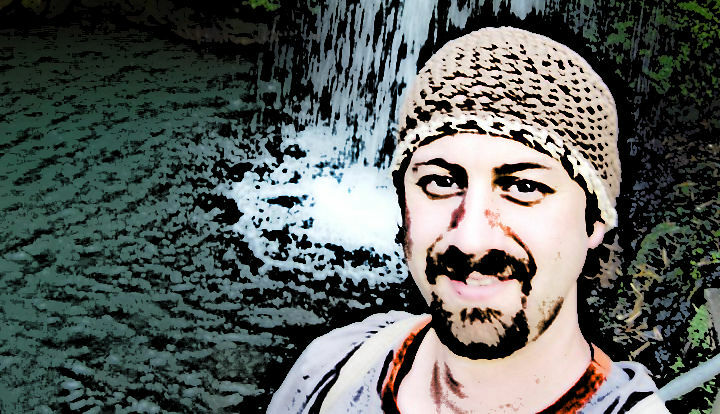 Not just because of his writing (science fiction and fantasy – my two favorite genres), but also because he is a writer progressing up that curve to the midlist, and because he’s someone who’s very visibly putting in the work. He asks for feedback, takes it, discusses the challenges that he’s going through, his progression to a full-time author, and pays forward what he knows. Every cover and every book he puts out is more polished than the last. He is diligent and relentless in his pursuit of his writing – qualities I very much admire. Here, then, is a snapshot of Brandon Ellis, captured as much for my own fascination as much as yours. YW (me): So, first – a bit of an introduction to yourself, if you will. Brandon: I’m from Portland, Oregon. Actually, I always say I’m from Portland, but that’s a little bit off. I grew up twenty miles south of Portland in a small town called Gladstone. It was a place full of mischief and mayhem. Those who knew of “us” in Gladstone usually thought we were a little backwards, poor, and uneducated. In truth, we were none of that. The group of boys and girls I grew up with were simply imaginative, doing our best to find creative ways to entertain ourselves, such as playing games like “Ditch’em” in the forest or organizing skate board clubs or bicycle hangouts while creating forts on the side. To me, that was education at it’s best. Obviously, I’m grown up now and I don’t do much of that anymore except on rare occasions with one of my kids. At the moment, I’m a sports therapist and for a time before I decided to become a writer, I was one of the most successful sports therapists in my area. I used to teach classes and hold seminars for continuing education all over the Northwestern United States, teaching therapists how to do what I do. I’m now immersed in writing. It’s my biggest passion, so I’m not extremely busy as a sports therapist anymore. Instead, I work part time as a therapist and part time as a writer. YW: You’ve got two series out – the Purelights and the Star Guild. One is decidedly fantasy, almost a Narnia + the Dark is Rising thing, and the other is completely different – a space opera in a world that’s rooted in the Panspermia hypothesis. And all the books in these two are very well reviewed. Let’s talk about these two worlds. How did they come about? The books, the characters – and given that you oscillate between fantasy and sci-fi genres, how much time and effort did it take you to produce this work? 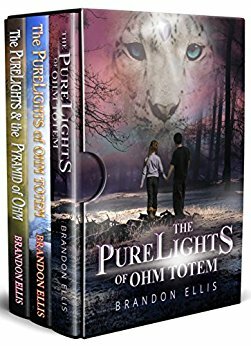 Brandon: The very first novel I ever wrote was The PureLights of Ohm Totem. And, to my surprise, it won a global book award in the Fantasy category. It eventually became a trilogy. It’s a story written straight from my heart, where what little training I had in non-violent communication and aikido (martial arts) were the foundation of that story. The PureLights of Ohm Totem grew out of a vision I had ten years ago. I had a very long day, working almost twelve hours, from early morning to night. I walked into my house, put my keys on the counter, and then stopped. An entire book suddenly exploded in my mind. That had never happened to me before. I ran down the hall and grabbed a pen and paper and wrote as much of the story as I could remember. I wrote about a “Snow Tree” in the middle of a forest and two children who come upon that tree. There, they learn valuable, including being told they are about to go on a mission. When the children asked where that mission was going to take place and when, they Snow Tree let them know it was just around the corner, inside the blackberry tunnel, where they would be transported to another place and time. The main characters turned out to be a boy named Coda and a girl named Zoey. When they enter the new world, Coda became a black panther. Zoey, a skylark. Together, they explore a world where spirit animals rule, though the animals are split into two warring factions — the PureLights and the Dims. Many of my fans have asked me to continue the series. And, maybe, one day I will. That trilogy was a two year project. The first book took one year to write, and then I ended up writing the next two fairly quickly. 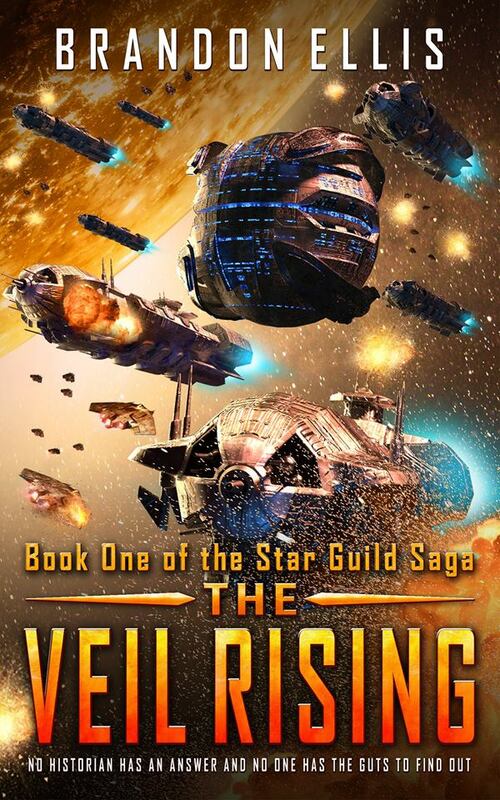 The Star Guild Saga, which so far has become my most popular series, has taken two years and continues to this day. I’m working on Book Three right now, but at the same time I’m working on another two books in another series I’m about to publish. It was, and still is, a blast to write. It came from a dream, which seems to be how I get a lot of my inspiration. And, after I had that dream, I wrote down as much of that dream as I could remember. Of course, the entire Star Guild Saga story wasn’t in that dream. Regardless, the dream was the spark for the entire series. Star Guild is about a cast of characters that live in a starbase orbiting the planet Lumus, which is in a galaxy not far from the Milky Way. These humans have it in their belief system that they are the only beings in existence. They, however, do not know where they come from, how they got there in orbit, and why they are even there, and there’s mounting evidence that they may just be the playthings of a much more powerful race. In that story, I have a favorite character named Crystal McCoy. She’s the chief of a Mech regiment on planet Lumus that’s sole function is to mine an ore called “Ebb”. Ebb is stronger than steel and is in just about every aspect of Star Guild society, including the Mech she works in. Crystal is a piss-ant, always giving orders, and never willing to take them. No one likes her, but she is tolerable enough to keep her job. She has a negative attitude, a blunt personality, and a strong sense of loyalty. She is in fact one of the key characters that has always thought something never felt right within their society, especially the crap that is shoved down their throats by the government. If the government tells them that water is fine to drink, she is the type of person who would find a water filter as fast as she could. This, to what she would call her detriment, is why she is able to see what not very many others see — that just about every human she knows has blinders on. In truth, the water is spiked with dumbing-down chemicals that keep her race from seeking out the truth. It keeps them lazy and focused on the nine to five job. Crystal, on the other hand, isn’t dumbed-down and the veil starts rising, showing her things she never knew existed, including where her race came from. Star Guild is about breaking the shackles of an unknown prison to seek a freedom not ever experienced — if they can survive. YW: What made you go indie? I went Indie because that’s all I know. I don’t think I have the personality to go with a publisher. I don’t like to be told what to do do, where to go, and how to write. So, in that case, I rarely go the road most traveled. I’m the road less traveled kind of guy. Indie, these days, is starting to become the road most traveled and I like that. YW: From an indie author perspective – given the fact that we’re both in the 20booksto50k group – I couldn’t help noticing that you were really ticking all the boxes. Great covers, the first book of each series free, a bunch of reviews mentioned in the description – how has this turned out in terms of sales? What were the biggest challenges and the greatest victories in the process? Brandon: I decided to concentrate heavily on subscribers, so I went to the Best Seller Summit put on by a successful writer, Tim Grahl. There I learned as much as you could with writing, marketing, mailing lists, and blogging. It was incredibly valuable. I recommend that every writer attend that workshop. From that point forward, I have created ways to attract people to my blog, to my subscriber list, and to my newsletter. These people have become my family, in a way. They not only help me get the word out about any new books or re-launches that I do, but also go out of their way to buy my books. They are heaven sent. I also decided I wasn’t going to take the lazy route to self-publishing anymore. I was going to figure out any and every way I could market my books, weather it be through Facebook Ads, free book giveaways, Amazon Ads, Newsletter Swaps, and networking with as many people as I can. I placed it high in my mind that I was going to do whatever it took to be successful and to learn from the best, most successful writers that would talk to me. And, to my surprise, some actually talked to me and gave me hints and secrets on how they became successful in their writing business. Here are a few successful writers who helped me: Hugh Howey, Nick Webb, Shaunta Grimes, Jeff Goins, Tim Grahl, Slade Roberson, J.T. Williams, and many others. Some of these writers have even become my dear friends. Some of the greatest challenges and victories in writing for me are the reviews I receive. I can be up and jumping around for one minute after reading a five star review and then down and lonely in the next minute, reading a 1, 2, or 3 star review. I have to stop looking at my reviews! That’s my greatest challenge. I’m sure best selling authors don’t have that issue. They know that they’ll get hundreds and thousands of reviews, usually giving them an average 4 star rating. The issue I have is that I don’t have very many reviews, so when I get one I become very excited. I want to read it immediately. One of my goals is to be one of those best selling writers that do not worry about reviews. Did anything in your background set you up for a running start, or did you have to learn on the way? I’ve always been fascinated with Fantasy and Science Fiction. In fact, I try to find anything and everything in those genres as I can. I’m more of a “light” person, meaning, I do my best to bring in lessons with my stories, showing the world that there is always a spark of light in the darkest of moments. I think I can best bring that ideology to the Science Fiction and Fantasy world, where the imagination of magic and future machines live. Years ago, when I was in eighth grade, we had a school project to make children’s book. I spent all spring drawing, coloring, and figuring out how I was going to take three penguins — Pat, Penny, and Pooney — to the planet Pluto. The end result was a wonderful little book, bound with a front and back cover, called “Penguins on Pluto”. Well, I didn’t think it was going to get the uproar that it did. The students and the teacher loved it to the point that they carted me off in a bus to read it to the elementary students at another school. From that point, I was hooked. I wrote as much as I could, though never actually completing a story until I went to college. “I won’t be surprised if in two years this guy over here writes a best seller,” my creative writing college professor said, pointing to me. By that time I was a silly and flunking college student, not caring about anything but hanging out with my friends and girlfriend. When my professor said those words to me in the middle of class, it shocked me to my core. I knew I loved writing, but never did I think of being a best seller. After class, my professor met me outside and told me that I should go to a different college to really learn the art and craft of writing. I hope one day that the best seller he saw in me comes to fruition, and until it does, his words keep me going, giving me faith that I can succeed in the writing business. As of right now, my books bring me about $200 to $1,000 a month. In fact, my books have only brought me $1,000 a month but once. When I first started writing and self-publishing, I thought that my books would just take off and that in a few years I’d be writing full time, living the life of a best selling author. It’s been four years and instead I’m what you’d call a struggling writer. About five months ago I decided to make a change. Instead of having “chance” take me to success, I was going to have “me” take me to success. My goal is to be a top 100 author on Amazon and if the stars line up for me, I’d love to be a top ten author on Amazon. If I can get there, I’d love to help other authors get there, as well. Here is where I see myself in 5 years: a best selling author, traveling to comic cons and signing countless autographs for people actually wanting my autograph. I don’t say that lightly. I say it with determination, with the desire to succeed. Why do I want to succeed? To help other authors, to help out those less fortunate (I already do), and to help out my friends and family. Thanks for reading! I’d like to give a shout out to Brandon for taking the time to answer all of these questions. You can find him on Goodread here: to check out his work, start with book one of the Star Guild Saga here or get the PureLights box set here . Want more interviews with people I find fascinating? Sign up below and join the thousand other people who’ve subscribed to my newsletter. It’s free, and I don’t spam.